The shooting of the film will start from December and will start with the canning of important scenes involving Mega Star Chiranjeevi. 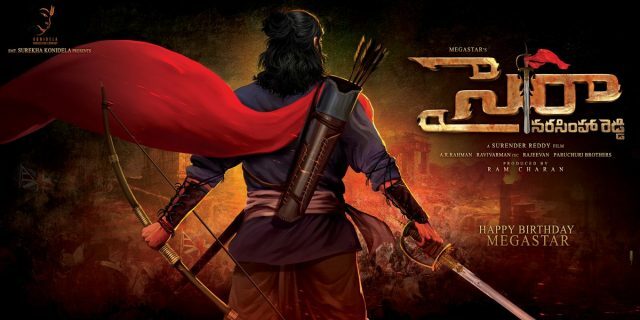 Mega Star Chiranjeevi will next be seen in in a film titled ‘Sye Raa Narasimha Reddy’ which is based on India’s one of the first freedom fighters – Uyyalwada Narasimha Reddy. The film will be directed by Surender Reddy and produced by Chiranjeevi’s son, actor Ram Charan on their home banner Konidela Productions. The pre-production works of the film are on in full swing and the unit have been scooping for locations across the Telugu states. And in the course, the team also visited the home town of the freedom fighter and interacted with the locals few days ago. Director Surender Reddy and cinematographer R.Rathnavelu spoke with the descendants of Uyyalawada Narasimha Reddy and visited the locations often visited by the freedom fighter. The duo also visited the place where Narasimha Reddy was hung by the British after he was captured in a battle. Surender Reddy says that the film will be a humongous one and will make India proud. The shooting of the film will start from December and will start with the canning of important scenes involving Mega Star Chiranjeevi in the first schedule. Besides the Mega Star, ‘Sye Raa Narasimha Reddy’ also features Bollywood superstar Amitabh Bachchan, Kannada top star Kichcha Sudeep, Tamil actor lady super star Nayanthara and Makkal Selvan Vijay Sethupathi. The music of ‘Sye Raa Narasimha Reddy’ will be rendered by musical genius A.R.Rahman. Besides the heavy star cast, ‘Sye Raa Narasimha Reddy’ will have action sequences designed by Hollywood stunt choreographer Tony Ching who has designed stunts for Spider Man, The Warlords and Bollywood film Krrish.